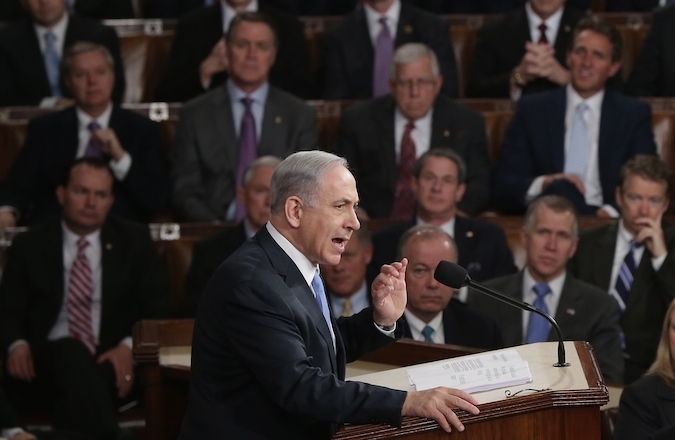 JERUSALEM (JTA) — Benjamin Netanyahu’s chief political rival in the upcoming Israeli elections said the prime minister’s speech before the U.S. Congress will have no effect on the Iran nuclear deal being negotiated. Israel is scheduled to hold national elections on March 17, and Netanyahu has been accused of using the speech to Congress to bolster his chances. His Likud Party is polling slightly behind Zionist Union. By arranging the speech secretly with House Speaker John Boehner (R-Ohio), Netanyahu angered the White House and Democrats. Michael Oren, the former Israeli ambassador to the United States who is running for Knesset with the Kulanu list, in a Facebook post called on Netanyahu to set about repairing relations with President Barack Obama. Israeli politicians on the right supported Netanyahu’s bid to convince the Congress to quash the agreement. “Thank You, Prime Minister Netanyahu. The Israeli People Stand behind you. The nation of Israel lives,” Jewish Home head Naftali Bennett, who traveled to Washington with Netanyahu, posted on Facebook at the conclusion of the speech.